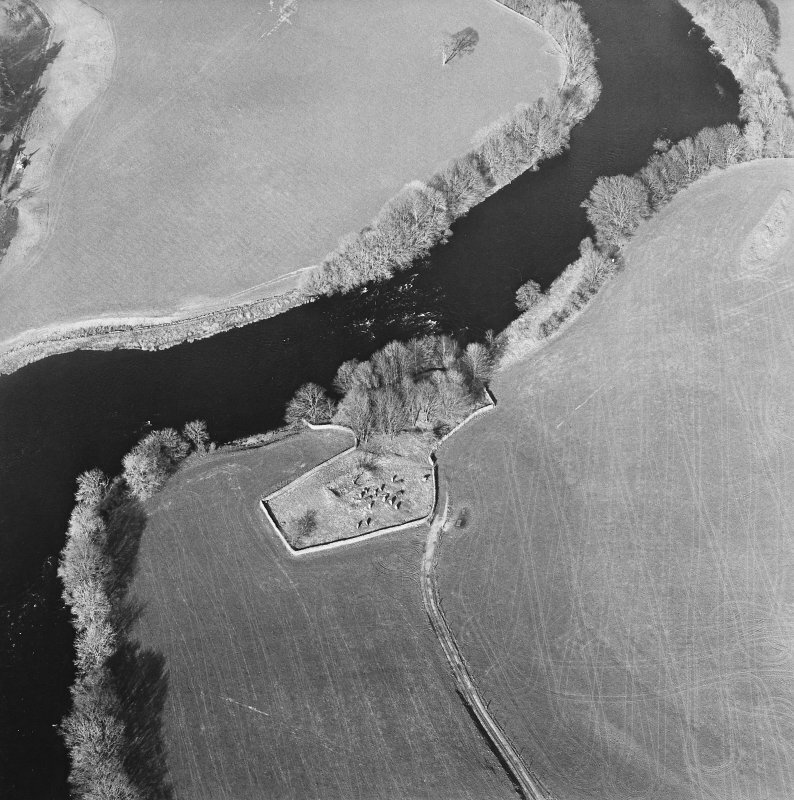 Oblique aerial view centred on the remains of the church and burial ground with the remains of a motte in trees adjacent, taken from the W.
Oblique aerial view of the ruins of Kirkcormack Kirk, taken from the NE. 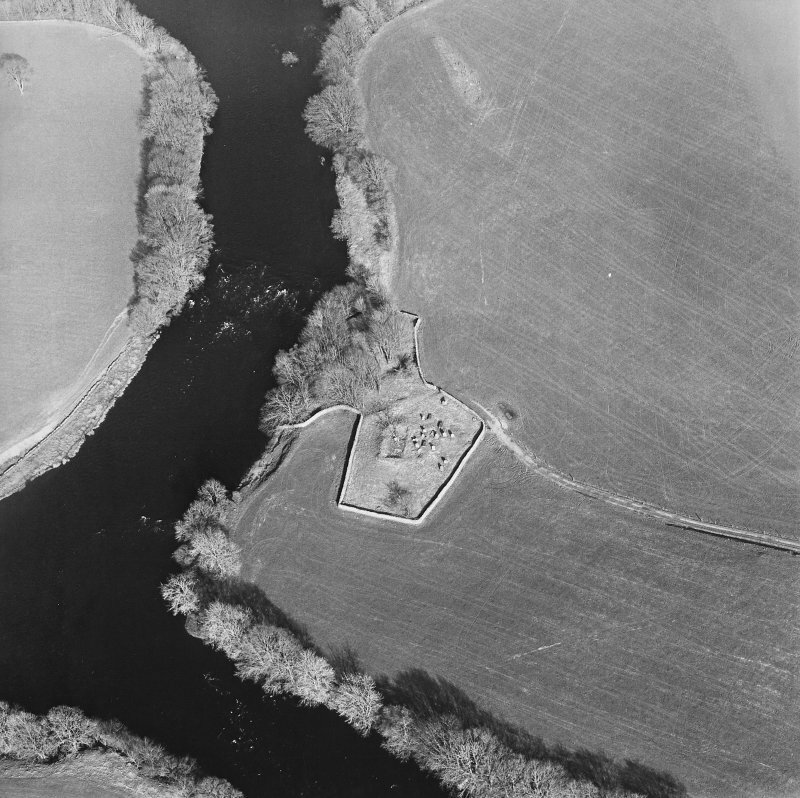 Oblique aerial view centred on the remains of the church and burial ground with the remains of a motte in trees adjacent, taken from the WNW. 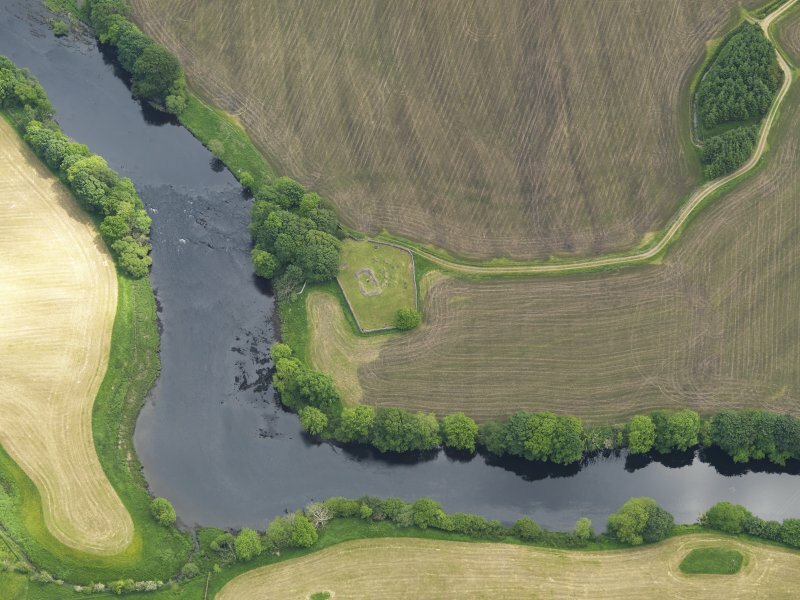 Oblique aerial view of the ruins of Kirkcormack Kirk, taken from the NW. 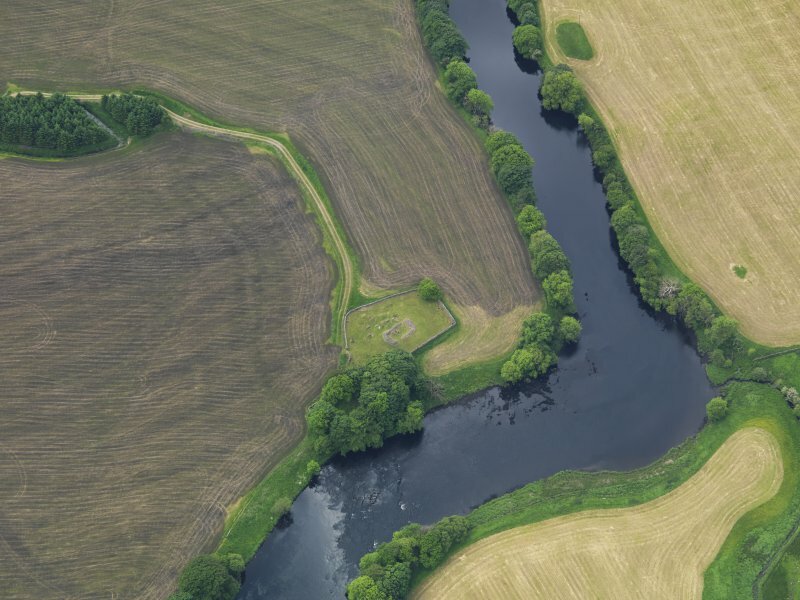 Oblique aerial view of the ruins of Kirkcormack Kirk, taken from the NNW. 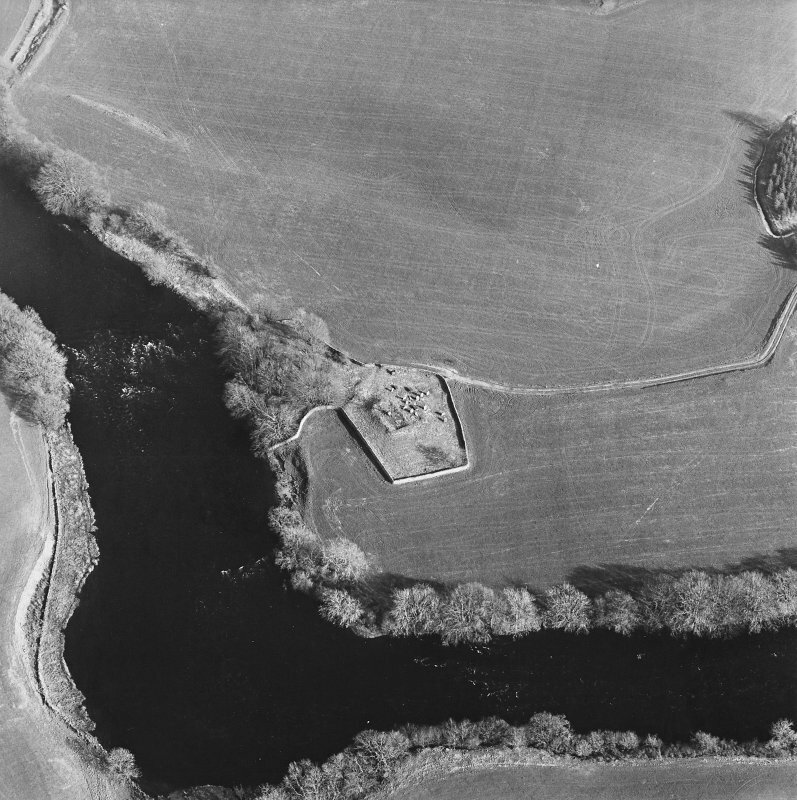 Oblique aerial view centred on the remains of the church and burial ground with the remains of a motte in trees adjacent, taken from the S.
Oblique aerial view centred on the remains of the church and burial ground with the remains of a motte in trees adjacent, taken from the SW.
View of two table tombs, one dated 1753. 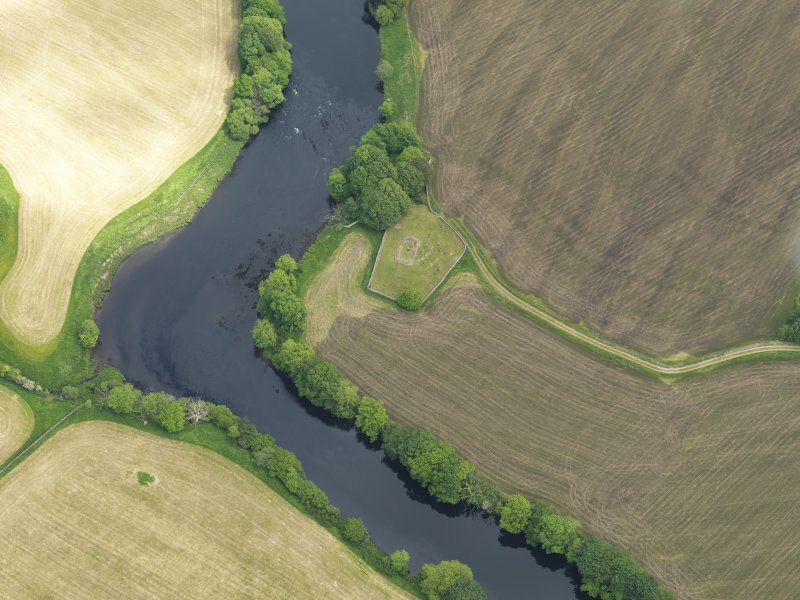 Oblique aerial view of the ruins of Kirkcormack Kirk, taken from the WSW. 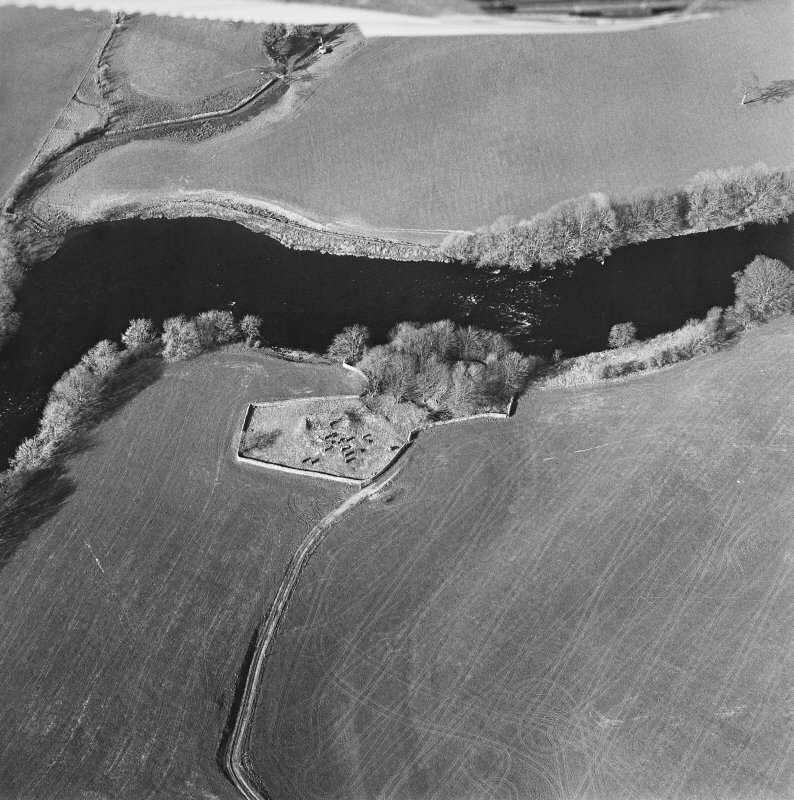 The ruined church of Kirkcormack which was dedicated to St Cormac, and belonged at one time to Iona (W J Watson 1926) is now almost reduced to its foundations, measuring 41' by 19'. 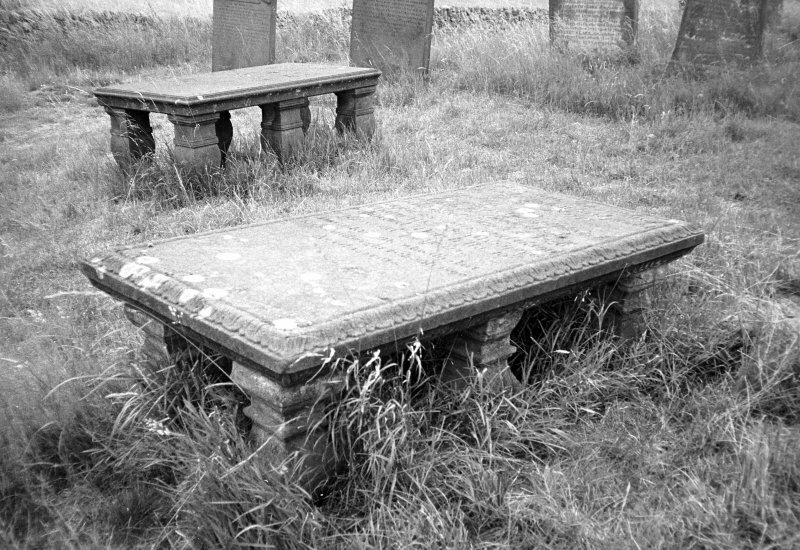 The grave-slab of a Patrick Maclellan is at the W end of the ruin. 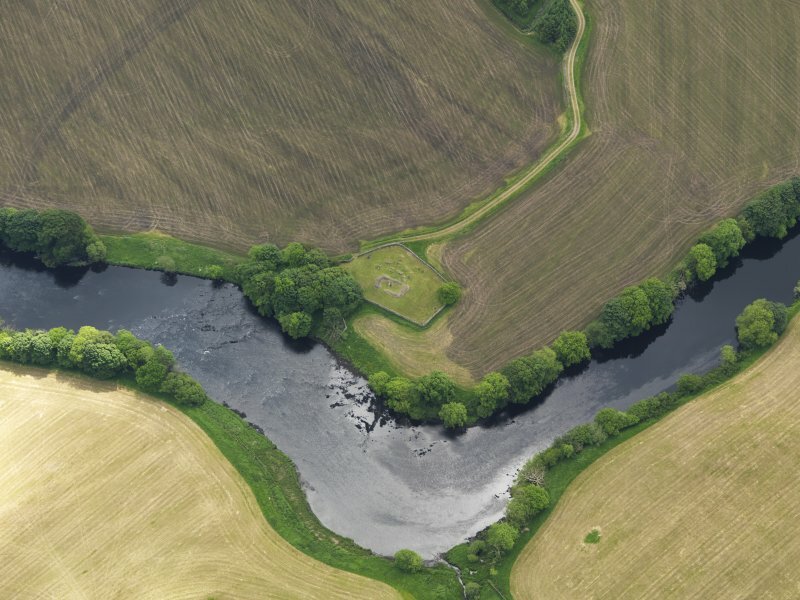 The remains of this church are visible as grass-covered mortared walls 0.8m wide by 1.3m max height, enclosing an area 11.7m E to W by 5.7m transversely with breaks in the SW and NE. 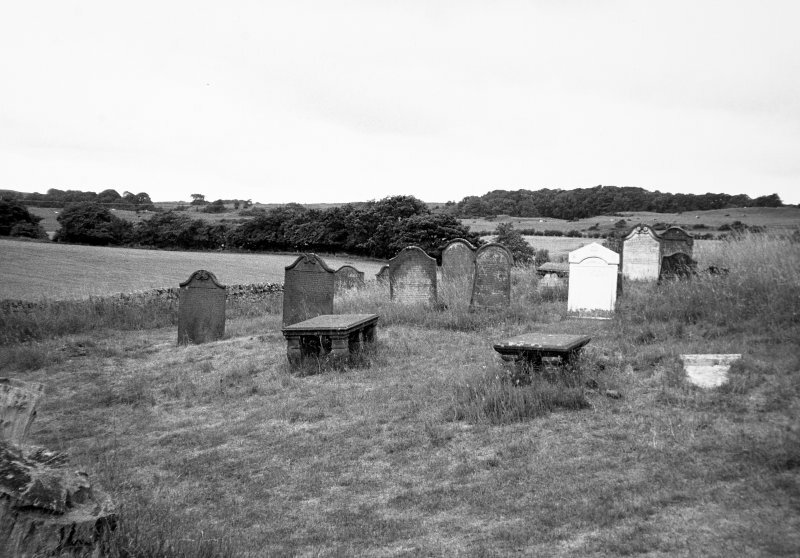 The graveyard in which it stands is now disused. Name confirmed.